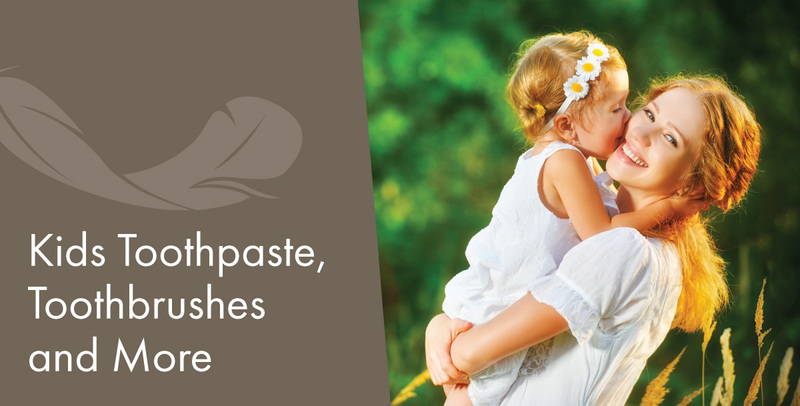 Children only need a small pea-size amount of toothpaste on their toothbrushes. Be sure your child understands that toothpaste is not food. It needs to be spit out, not swallowed. The type of toothbrush your child uses is important because the wrong kind can be damaging to soft tissues. Regardless of your child's age, his or her toothbrush should have soft nylon bristles. Harder bristles can cause gums to wear away over time. When your child is an infant, the toothbrush should be very small. As he or she grows, select small toothbrushes that can fit easily in the mouth and brush one or two teeth at a time. Your child's toothbrush should be able to reach all the teeth, including the molars in the very back. Replace toothbrushes about every four months or when they begin to look worn and frayed. If a toothbrush wears out much sooner than three or four months, you or your child may be using too much pressure. It's also a good idea to replace brushes after your child has had a cold or other illness to prevent reinfection. Powered toothbrushes are fun and may remove more plaque and stain than regular toothbrushes. That doesn't mean you should run out and buy one. Regular toothbrushes are very effective, too. However, because they make brushing easier, powered toothbrushes can be helpful for special needs children who can't sit still long enough to properly brush their teeth with a regular toothbrush. These appliances usually are not necessary, but they may benefit some children with braces or other type of orthodontics who need help getting food from between teeth. However, these devices do not remove plaque that is firmly attached to the tooth. That still needs to be done with a toothbrush. Mouthwash and fluoride mouth rinse are two different products. Mouthwash freshens breath, but does nothing to clean teeth. Most mouthwashes contain alcohol and are not appropriate for children younger than 6 years old. This is because young children can easily swallow the mouthwash. If your child has chronic bad breath, he or she should see a doctor. It could be caused by a health problem. Fluoride mouth rinse coats teeth with fluoride, which helps to prevent cavities. You should check with your child's dentist or dental hygienist to determine if your child needs to use a fluoride mouth rinse. It is typically used once or twice a day by children who are cavity prone, even if the child has only one area of decay. Children as young as 7 years old can use a fluoride rinse, if they know how to spit out a liquid without swallowing it. You can test your child to see if he or she is ready. Give him or her a half-cup of water. Ask your child to put some of the water in his or her mouth, swish it around and spit it out into a second cup. If there is a half cup of water in the second cup, your child probably can spit out the mouth rinse. You should still supervise your child to make sure the rinse does not get swallowed. For more information about your kids' oral health, please contact our Lakewood dentist, Light Dental Studios of Lakewood today!